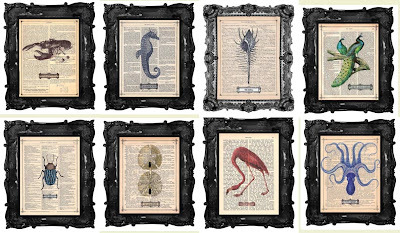 So one of my new favorite artists on Etsy is Black Baroque. 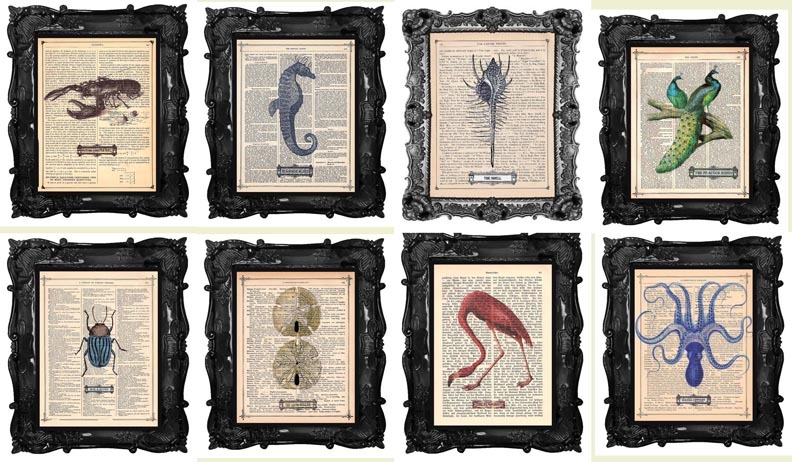 They do these really cool animal / medical / botanical prints on old book and newspaper pages. I think a wall of these (maybe in a different simpler frame than shown) would look pretty fabulous. And a lot of impact for prints that are only $10 a pop.